Geniux Review (UPDATED 2019): Don't Buy Before You Read This! 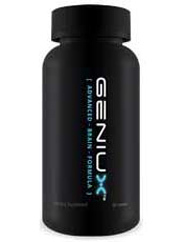 Geniux is a cognitive enhancement supplement that is designed to increase memory and mental functioning. Their advertising says that it can help improve both retention and recall of information, as well as the speed and depth of users’ problem solving skills. Their promotional materials also claim that it can improve energy levels and mood, as well as outlook and motivation. It is high in antioxidants that help cleanse the brain of the free radicals that lead to mental degradation, which can improve consumers’ focus, attention, and mental clarity. The nootropic supplement that our team rates the highest is Memotenz. It was very impressive in their trials and its ingredients blend is second to none. 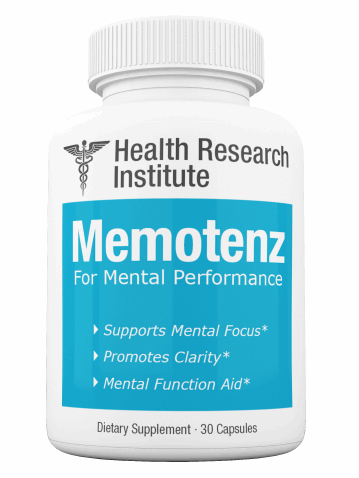 Click here to see all of the contents and dosage levels in Memotenz. Bee Pollen: A byproduct of honeybees that includes flower pollens, nectar, and bee saliva. There are quite a few resources that claim that bee pollen has a number of beneficial qualities, however there is very little data that suggests it can have much of an impact on health and wellbeing in humans. When honeybees travel from flower to flower they gather the pollens of the flower into small sacs on their legs. Commercial beekeeper use large comb-like apparatuses at the opening of the hives to collect the pollen as they re-enter their home. This process can be particularly hard on the bees, as it can tear their wings and limbs – which then have to be separated from the pollen before it can be used. Bee pollen is high in antioxidants and it contains a number of basic vitamins and minerals, such as vitamin C, vitamin E and lycopene. While these nutrients are generally considered beneficial for physical and mental function, they are not directly considered mental functioning enhancement aids. There is no data to suggest that bee pollen can significantly affect mental functioning. There are no studies that claim that it has, and it is not used in any home remedies or unofficial blends for cognitive health. Vinpocetine: A newly synthesized chemical that is designed to resemble the extracts of the periwinkle plant. The data surrounding vinpocetine is still in its early stages, however it has been shown to help increase blood flow to the brain, which may have some benefits for cognitive function. Most of the early studies of vinpocetine have centered around its usefulness for treating diseases that can interfere with clear thinking, such as Alzheimer’s disease and dementia. It is also possible that the increased blood flow can be helpful for improving memory and for preventing conditions like strokes or seizures. Caffeine: One of the most common stimulants used by human beings worldwide. Caffeine is a common chemical found in quite a few different food, beverage, pharmaceutical, and nutritional products. Caffeine is most known as the main stimulating agent in coffee, tea, sodas, and energy drinks. Caffeine works by energizing the central nervous system, which in turn increases heart rate and blood pressure. It has been shown to help improve alertness, memory, and focus in some users, however it can also lead to lack of focus, anxiety, and irritability in other users. Clinical studies have failed to prove definitively that caffeine is an effective mental functioning tool as its impacts on users can vary wildly. Tyrosine: An amino acid that acts as a precursor to L-DOPA, a neurotransmitter that is useful for improving mood and experiencing pleasure. Tyrosine is thought to be potentially useful for increasing memory, alertness, and mental performance, especially in times of high stress. When animal test subjects have been given doses of tyrosine they have responded by reducing the acute signs of stress such as avoidance, spontaneous motor activity, and aggressive behavior. It is also high in antioxidants and may have some applications for preventing aging in the brain and neurons. There are also worries that tyrosine could potentially lead to birth defects when taken by pregnant women. It is also not recommended for anyone that has hyperthyroidism or Grave’s disease, as tyrosine can potentially increase thyroxine to dangerous levels in these users. Click here to see the cognitive enhancement supplements that have the best chance of raising your IQ scores. Geniux does not have the type of ingredients mixture that our panel of experts prefers. They tend to look for ingredients that have proven histories of effectiveness, that are side-effect free for most users, and that work with the body’s natural biological processes. What they do not tend to recommend are supplements that work in the short term but that may be ineffective or even dangerous in the long-term. Caffeine is one of the most notorious ingredients in that regard. Caffeine users get a very noticeable short term boost in their mental function, however that goes away within hours, potentially causing both physical and mental crashes. In the long term, caffeine can be damaging to the heart, the stomach, and it can even tart causing some of the mental problems that it is taken to relieve. Combine this with the fact that caffeine has also shown addictive properties and my become habit forming for some consumers, and it is easy to see why it is not one of our panel’s recommended ingredients. 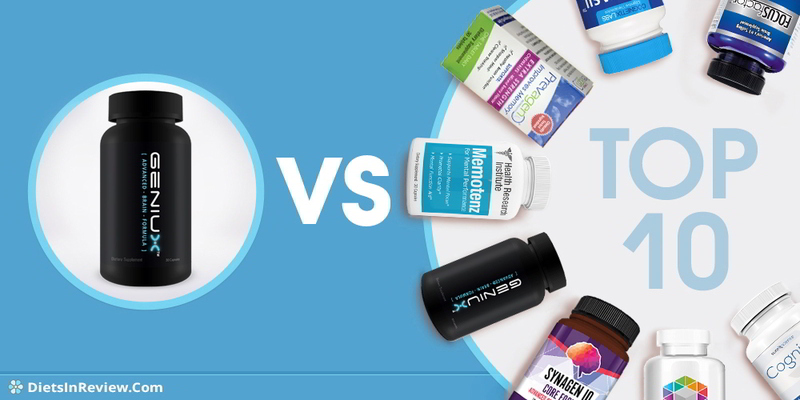 Tyrosine and vinpocetine are both new drugs that have shown some usefulness in mental functioning supplements, but that also have been possibly connected to some serious side effects in some cases. Our team does not recommend products that use them in their blends until there is more data about their effectiveness and safety. Bee pollen has not been shown to be a useful ingredient for cognitive function in any way. It does not belong in a supplement mix of this nature. Follow this link to see the list of mental functioning supplements that our team recommends for study and concentration. This price is well outside the norms for this time of product. 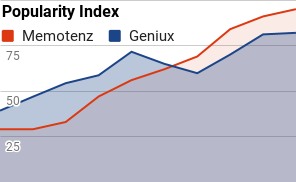 Geniux costs at least 2-3 times as much as the vast majority of brands. To learn more about how to choose the cognitive performance supplement that will work best for your specific needs, click here. There is no evidence of any legal proceedings against Geniux or Intelligence Rx at this time. For more data about which mental performance supplements were rated as the best for college students and creative professionals, follow this link. There were complaints about Geniux regarding a variety of issues. The cost, its side effects, and poor customer service were all brought up, however the most common issue that was raised was the general lack of effectiveness of Geniux. Click on this link to see all of the top over the counter mental performance aids and cognitive enhancement products that are currently available. 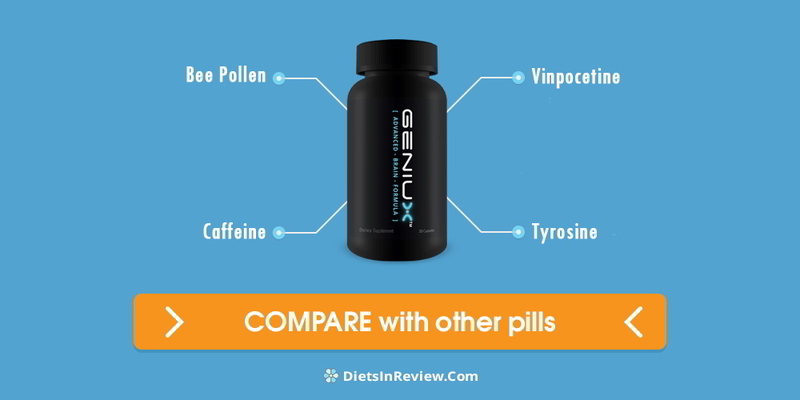 Conclusion – Does Geniux Work? Geniux has a highly questionable ingredients blend. They do not use any of our team’s most recommended ingredients and instead stick to short-term and untested products that may be harmful to some users. Caffeine is a low-grade stimulant that does not belong in a daily dietary supplement. Vinpocetine and tyrosine are both untested and potentially dangerous, and bee pollen is not useful in a supplement of this nature. The nootropic product that our team recommends the highest is Memotenz. It has shown remarkable abilities to increase cognitive function by a number of metrics. Memotenz can improve users’ memories, attention, and the speed and depth of their critical thinking. Click here to see all of the ways that Memotenz can be beneficial for you.